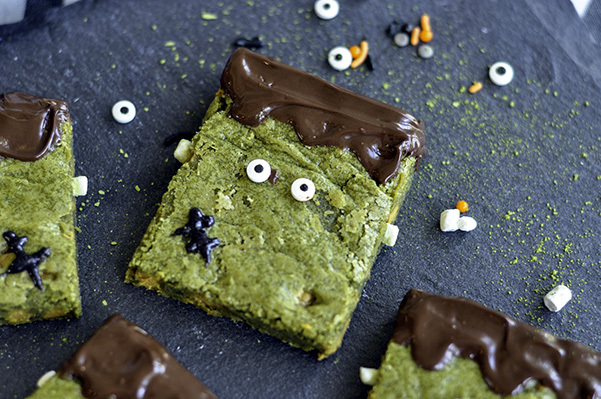 Blondies are such an easy treat to make, I thought that adding some Matcha powder to them would make the perfect Frankensteins for halloween. These blondies are chewy with a great matcha tea flavor balanced with sweet butterscotch. This is a one bowl recipe so it can easily be whipped up right before a party or even a day in advance! 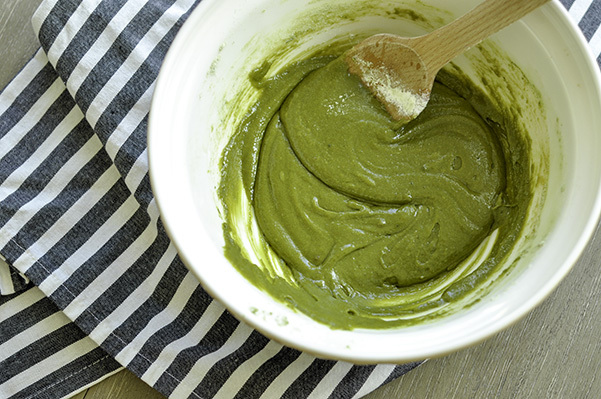 Spread this thick batter into a greased 8X8 pan and bake for 20-25 minutes at 350F. Allow to cool in the pan for 10 minutes then on a wire rack till cooled. Slice into 9 squares and devour, or turn these squares into little frankensteins. Melt dark chocolate in a double boiler. Once melted, dip the tops of the blondies into the chocolate to create the franked-hair. Top with two candy eyes and mini marshmallow bolts and before you know it-It’s alive! 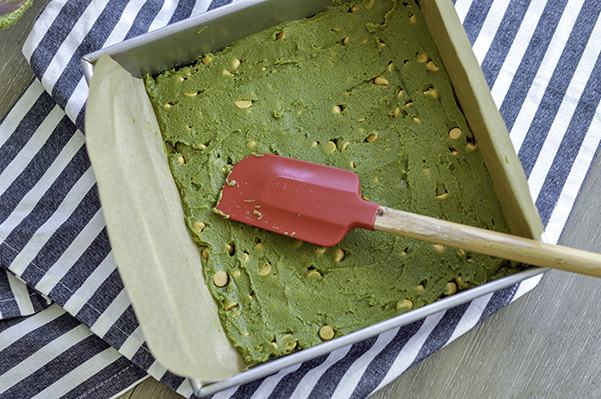 Enjoy these totally matcha- totally cute halloween blondies- and welcome to fall! Spread the batter evenly in lined pan- it was very thick so I pulled out the offset spatula to really get it into the corners. Bake 20 to 25 minutes until a toothpick inserted into the middle comes out relatively clean. Cool then cut into 16 squares.